Simply Amazing! The Book That Takes You Through 5771 Years of Wonders You've Never Seen Before! Imagine a book crammed so full of information that each page opens your eyes to dozens of different things you've never known before. Imagine a book that's so eye-opening, riveting, and splendid that you--and your kids--can literally spend hours immersed in it. Imagine a book that testifies to the greatness and infinite wisdom of our Creator in a most unique, palatable way. Now hold exactly that book you imagined, in your very own hands! 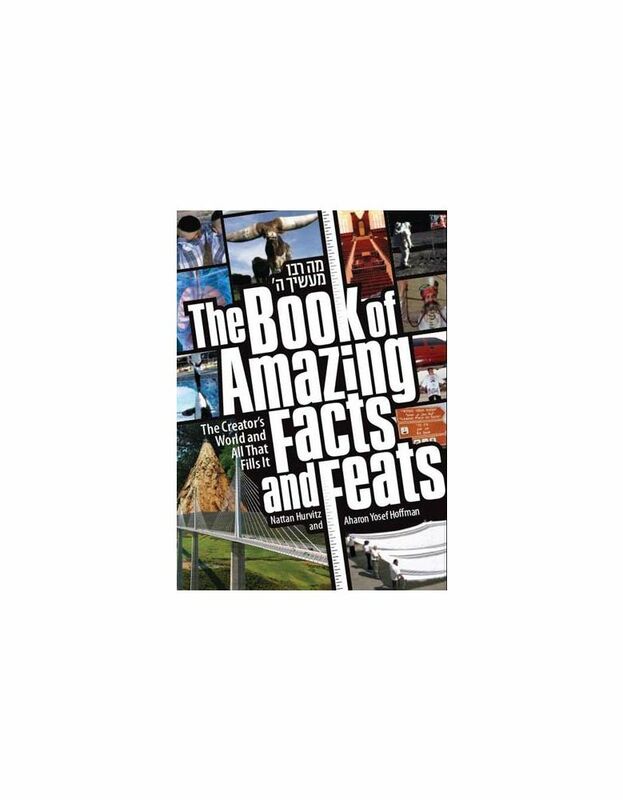 The Book of Amazing Facts and Feats is encyclopedic, bursting with trivia that's anything but trivial. From Jewish history to motorcycle history, prophets to governments, your mind will delight in the obscure, fascinating, and important facts presented in this beautifully designed coffee-table sized book. Packed with full-color photographs and divided by topic, this is a real first, a book of world records geared for the Torah Jew. What did the Bais HaMikdash look like when 1.2 million men with their 1.2 million goats or lambs would pass through on Pesach? Who was the only female ruler of the Jewish Nation? And which city never had any corpses? 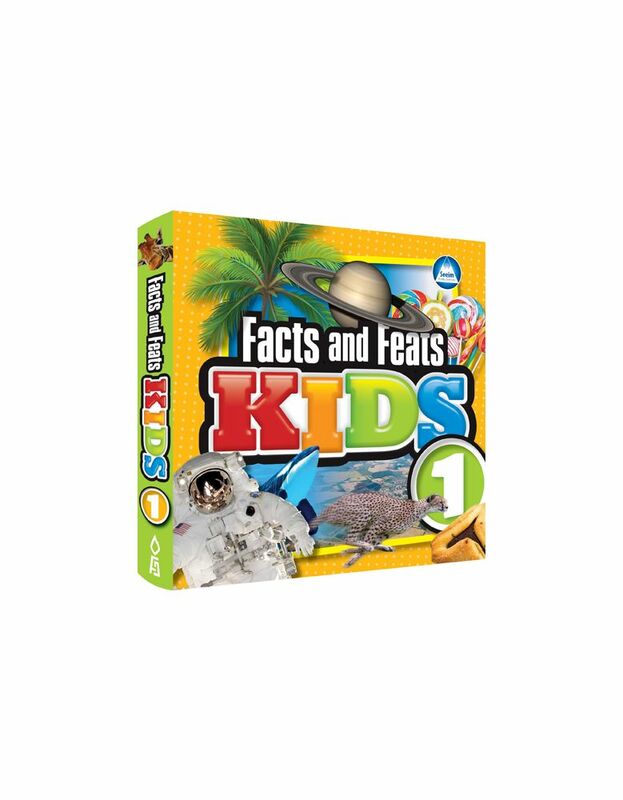 In addition to Torah-related facts, this book brings us information the world over. Do you know what the most-crossed border is in the whole world? Who's the fastest talker of all time? Who invented the Yo-Yo, and what's the most common skin condition? A fantastic present for graduation, housewarming, birthdays, and more. What's the world's largest Tehillim? What's the longest Rashi in Shas? Who were the oldest parents in history? Who was the only person to return from Gan Eden? Wouldn't you like to know about the world's longest lecture, largest gift, and first fork? About the longest-lasting food, about the largest and most valuable "airplane graveyard", and and the largest man-made moving object? From math to motorcycles, names to nations, and so much more, these fantastic full-color pages feature literally thousands of carefully selected and researched nuggets of information, all appropriate and valuable for the Torah Jew.